The encompassing trend of digitalisation and widespread dependencies on IT systems triggers adjustments also in the military forces. Besides necessary enhancements of IT security and defensive measures for cyberspace, a growing number of states are establishing offensive military capabilities for this domain. Looking at historical developments and transformations due to advancements in military technologies, the chapter discusses the political progress made and tools developed since. Both of these have contributed to handling challenges and confining threats to international security. With this background, the text assesses a possible application of these efforts to developments concerning cyberspace, as well as obstacles that need to be tackled for it to be successful. 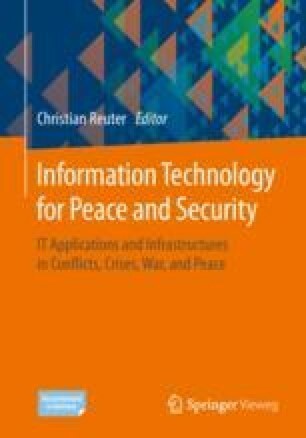 The chapter points out political advancements already in progress, the role of social initiatives, such as the cyber peace campaign of the Forum of Computer Scientists for Peace and Societal Responsibility (FifF), as well as potential consequences of the rising probability of cyber war as opposed to the prospects of cyber peace. Forum of Computer Scientists for Peace and Societal Responsibility. (2014). No military operations in the Internet! Retrieved from https://cyberpeace.fiff.de/Kampagne/WirFordernEn.